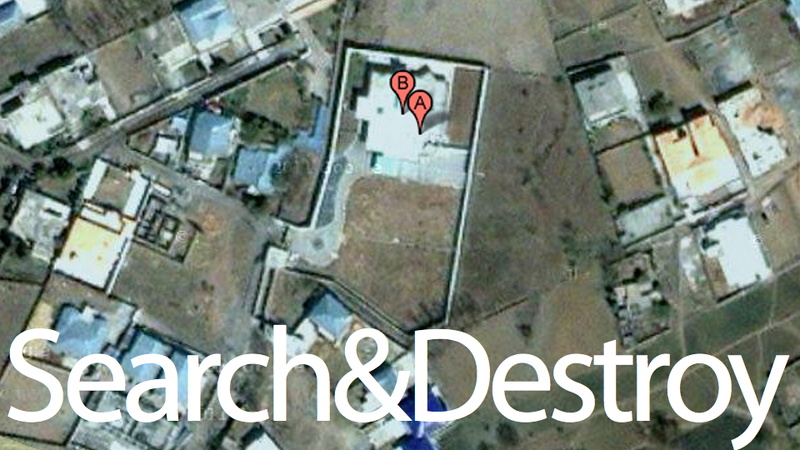 In this age of GPS signals, Foursquare check-ins, and iPhone tracking, how did America's most-wanted man, Osama bin Laden, stay hidden for almost a decade? A better question would ask how he was found, for that is the reason the world is rejoicing today. Despite hiding in plain sight of a police station and military headquarters in Abbottabad, Pakistan, bin Laden's million-dollar mansion—eight times larger than the mansions surrounding it—was stormed in a raid last night. US officials had tracked one of bin Laden's trusted right-hand men, a courier, after he was identified by detainees captured after 9/11, and discovered he lived with his brother in an "extraordinarily unique compound," which "harboured a high-value terrorist target," according to various senior administration officials. It was the fact that this mysteriously large mansion lacked a phone line or internet connection that ultimately made officials believe something was amiss. With all the riches in the world, could they not afford a connection? Other details soon began causing suspicion too—trash was burned instead of put out for collectors, like their neighbors did. What was this three-story mansion hiding?